Meet Beefcake! He is a 12.5 year old Rottweiler from Ohio whose mom notice gradual slowing down, increesed sleeping, inability to run and having generally a harder time walking. 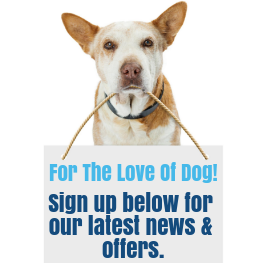 Then Beefcake’s mom found TopDog Health’s website and started him on GlycanAid HA. Within 3 weeks Beefcake was acting like a puppy again, playing with his favorite toys again and enjoying his new lease on life. 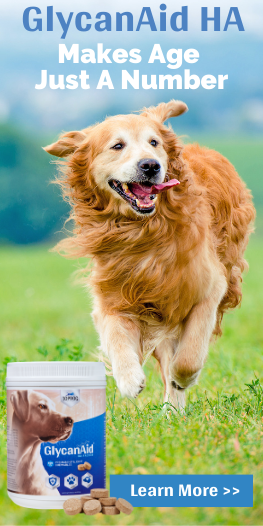 GlycanAid HA Advanced Joint Health Formula is specifically designed for dogs requiring the maximum degree of support to maintain the structural integrity of their joints and connective tissues. 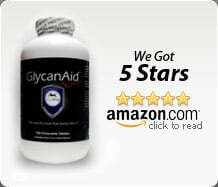 Whether your dog has recently undergone major orthopedic surgery or is in need of advanced joint support, GlycanAid HA incorporates the proven ingredients for success. These tasty chewable tablets are recommended by veterinarians across the world.